Your application is now ready for your first service. 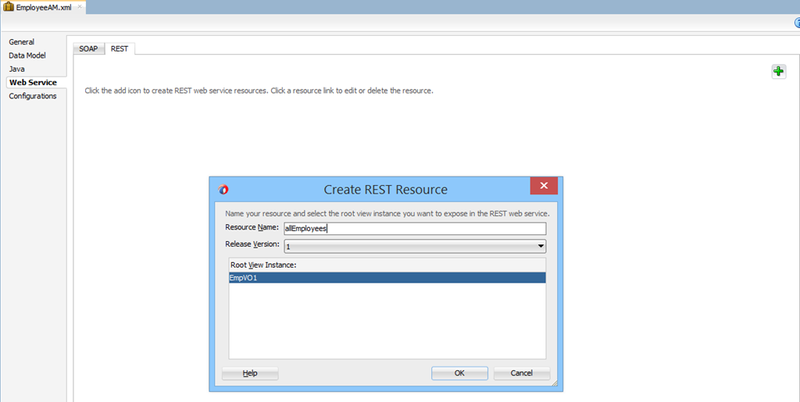 Go to the Web Service tab of the Application Module and then the REST tab. Click the green plus icon to add a resource. Your latest version will automatically be selected. 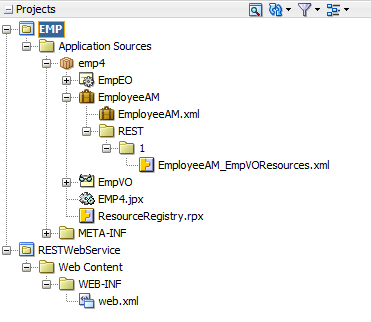 Choose an appropriate name and press OK.
ADF will create a config file for your resource (based on the chosen ViewObject), a resourceRegistry that will manage all resources in your application and a new RESTWebService project that you can use to start the services. 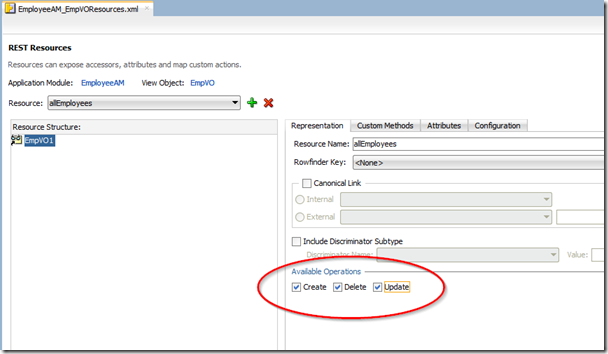 The config file automatically opens and you can now further configure your resource. After ignoring this error, several things go wrong (what a surprise). 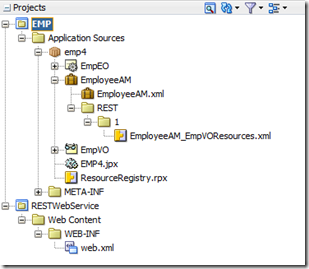 The REST resource is created in a separate folder (not underneath the Application Module), it is not listed as a REST resource in the Application Module and finally it doesn’t work. All in all not ideal. I haven’t been able to figure out what happens but I would recommend avoiding this option (at least in this version of JDeveloper). There are two important choices to make before starting your service. You have to decide which REST actions will be allowed, and what attributes will be exposed. Setting the actions is simple. 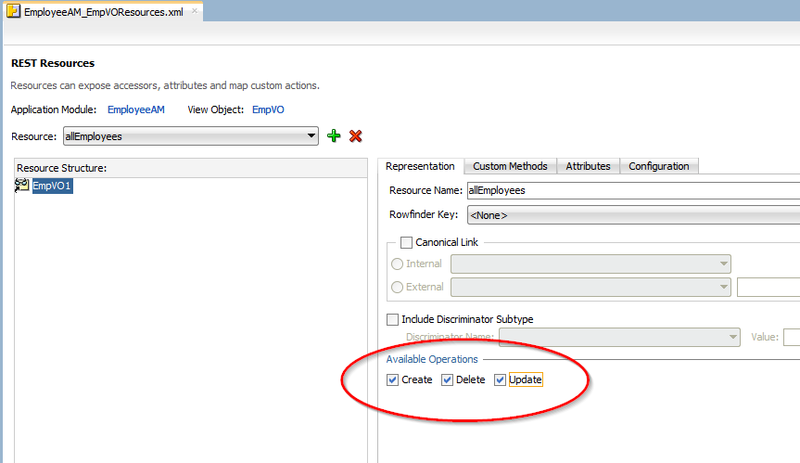 On the first screen of your config file are several checkboxes for the actions, Create, Delete and Update. By default they are all allowed on your service. Make sure to uncheck all actions that you don’t want to allow on your service. This provides for better security. Limiting the exposed attributes can be done in two ways. 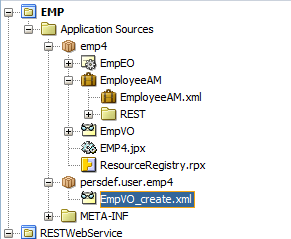 You can hide attributes on the ViewObject for all REST services on that VO. 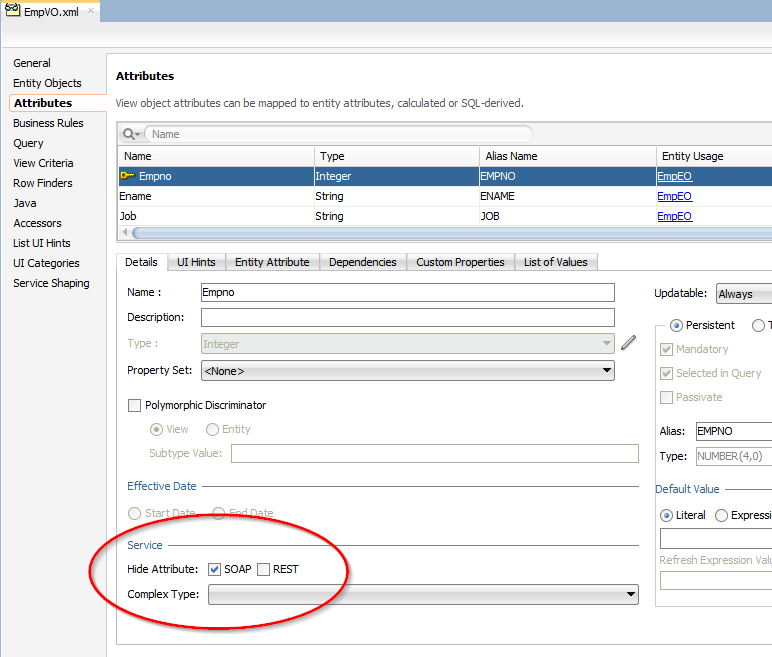 This is a secure and convenient way if you know an attribute should never be open to a user. 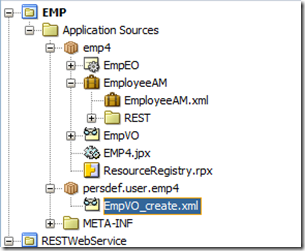 Another way of configuring attributes for your REST services is creating REST shapes. This is a powerful feature that can be accessed from the ViewObject screen. You can make shapes independent of specific resources and apply them whenever you want. To create a shape, go to the ViewObject and to the tab Service Shaping. Here you can add a shape with the green plus-icon. Keep in mind that the name you choose for your shape will be a suffix to the name of your ViewObject. After creating the shape, you can use the shuttle to remove attributes. The newly created shape will have its own configuration file in a different location but you can only change it in the ViewObject configuration. After the shape is created, it can now be added to your REST service. 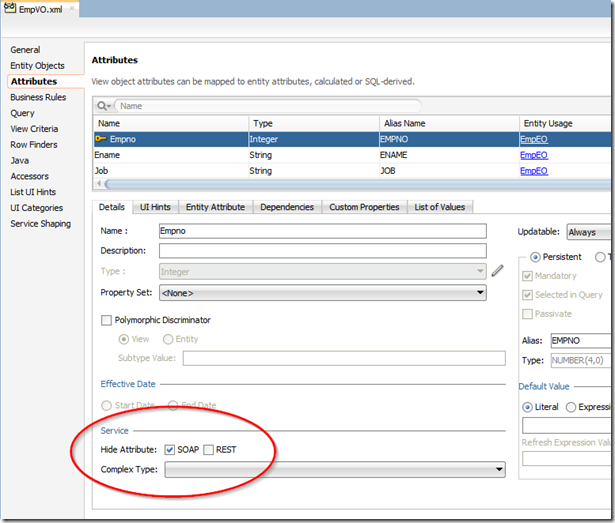 To do this, use the Attributes tab in your Resource file, select the shape and you see the attribute shuttle is updated automatically. You are now ready to start your service. Right-click on the RESTWebService project and run. If you have done everything right, JDeveloper will show you the url where your services are running. Now you can REST easily. Jeroen is an Oracle consultant at AMIS. 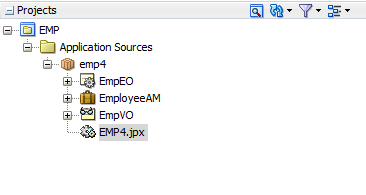 Currently mainly working in ADF and Oracle JET. 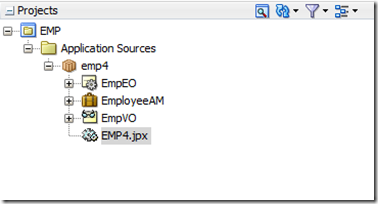 Can you share resource for handling image file for crud operation in oracle jet and adf bc.